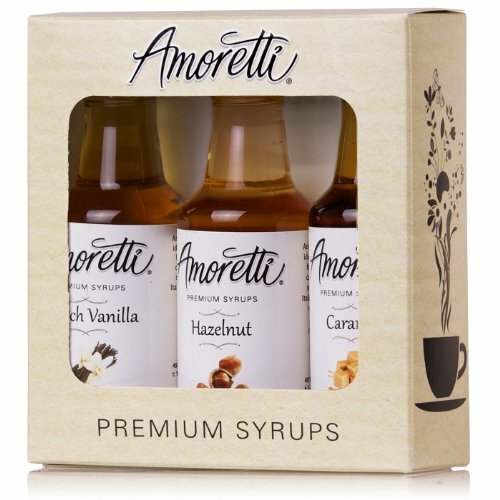 Amoretti Premium Classic Syrups 50ml 3 Pack (French Vanilla, Caramel, Hazelnut) by Amoretti at Good Time Donuts. MPN: 4273361. Hurry! Limited time offer. Offer valid only while supplies last. The Amoretti® Classics 3-Pack contains a 50ml bottle of each of 3 of our most popular syrup flavors; French Vanilla, Hazelnut, and Caramel. The Amoretti® Classics 3-Pack contains a 50ml bottle of each of 3 of our most popular syrup flavors; French Vanilla, Hazelnut, and Caramel. Amoretti® Classics syrups are perfect for flavoring any hot or cold beverage or breakfast cereal. If you have any questions about this product by Amoretti, contact us by completing and submitting the form below. If you are looking for a specif part number, please include it with your message.